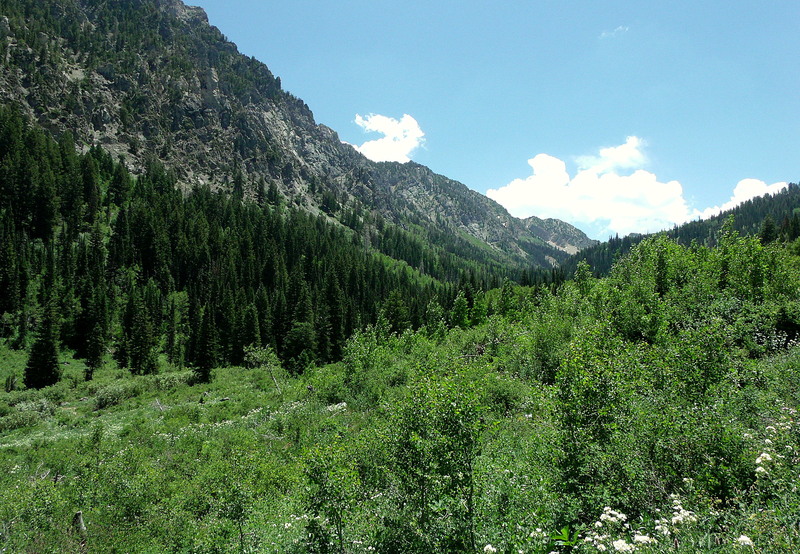 Those are Broads Fork Twin Peaks behind the larger tree and just to the right of the center of the image…they are the highest peaks in the portion of the Wasatch Mountains that form the eastern geographic boundary of Salt Lake City, Utah, USA. 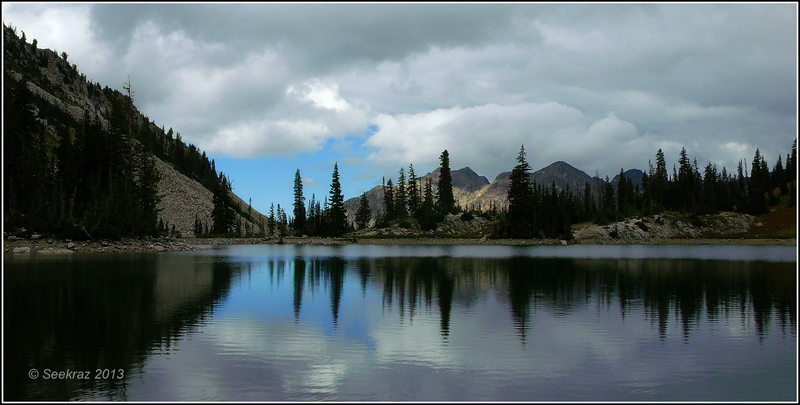 If you’ve been following the blog for a while, you might remember a few posts from last year that highlighted the same lake…and if you do remember those images, you might also recall that they sky was bright in its blueness and reflected wonderfully in the surface of the lake. 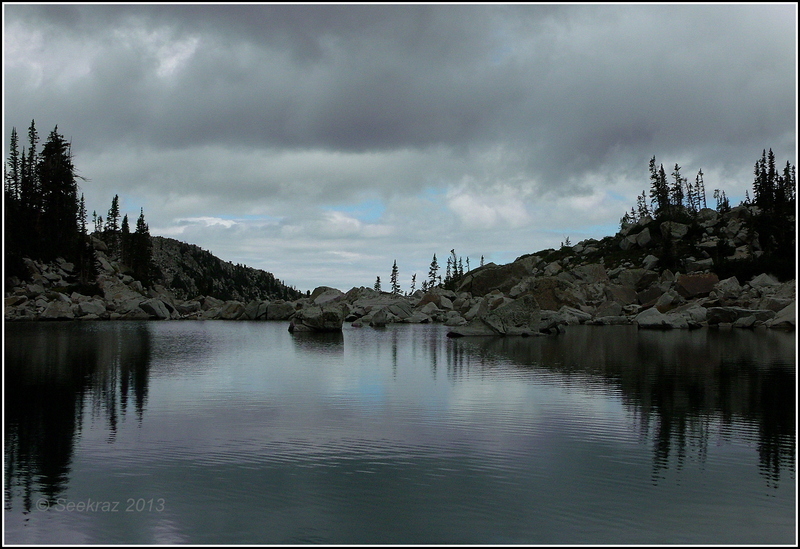 It is amazing how different a place can appear when the clouds and lighting are so strikingly different. 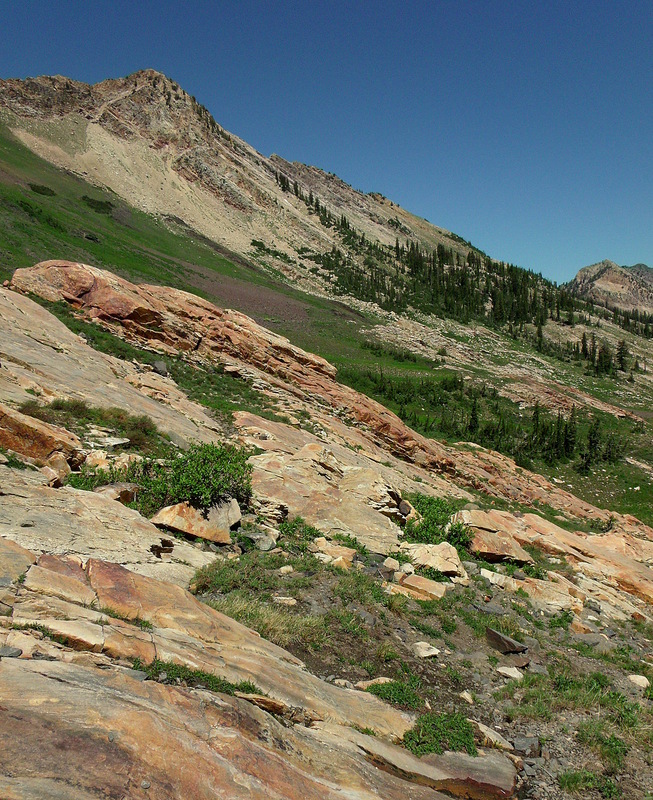 Coincidentally, these images below were made exactly one year later than the ones in the earlier posts…to the day. 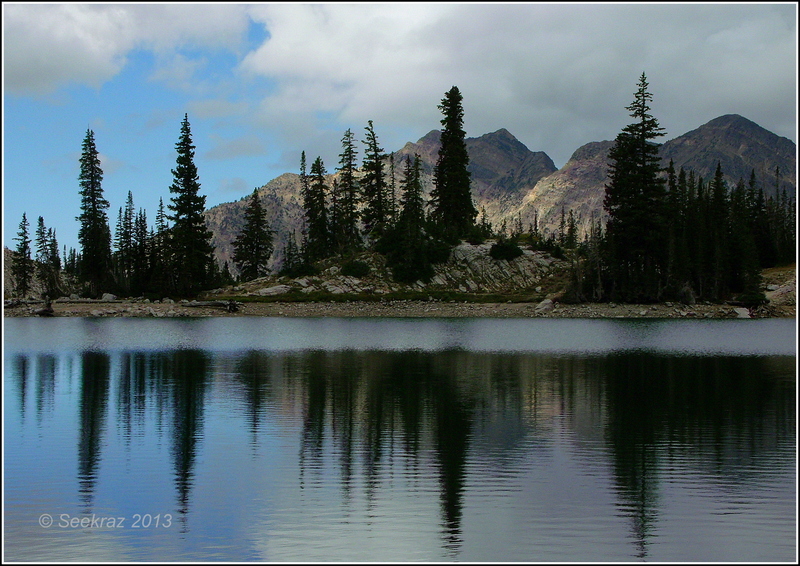 If you’d like to visit those earlier images, you can scroll to the bottom of the page and click on the Red Pine Lake category to be taken to a continuous roll of the earlier posts and photographs. 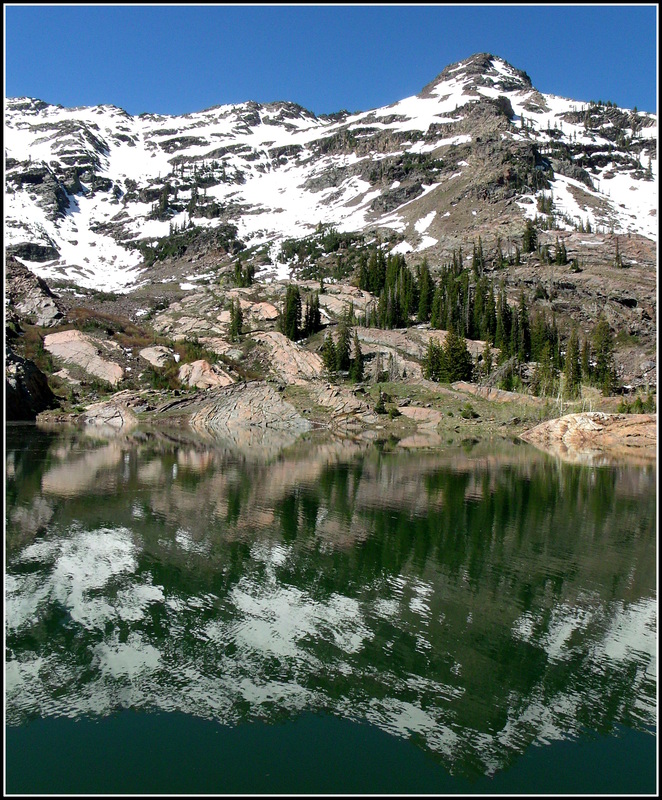 And for those of you who are interested, Upper Red Pine Lake is at about 10,000 feet in elevation…400 feet higher than Red Pine Lake. 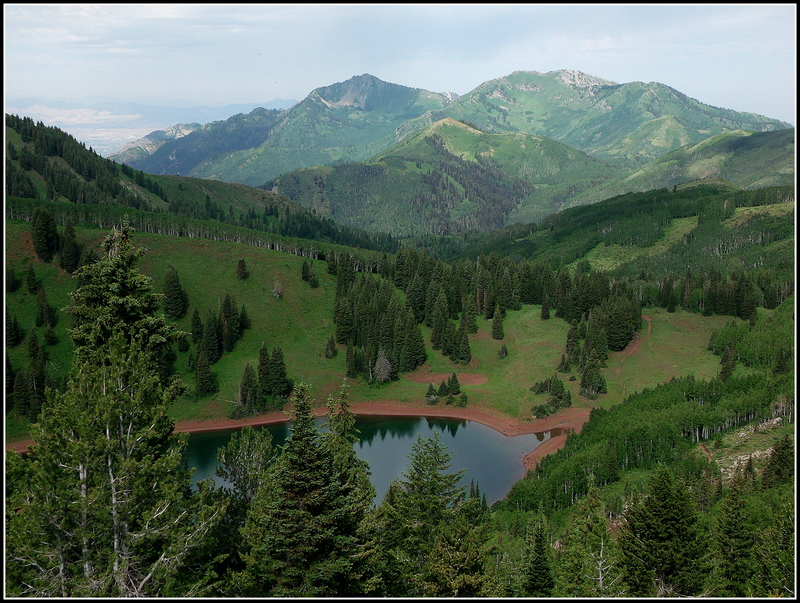 The lakes are situated in Red Pine Canyon, one of the tributary canyons or forks that extend south from Little Cottonwood Canyon…just south and east of Salt Lake City, Utah, USA…in the Lone Peak Wilderness Area of the Wasatch National Forest. 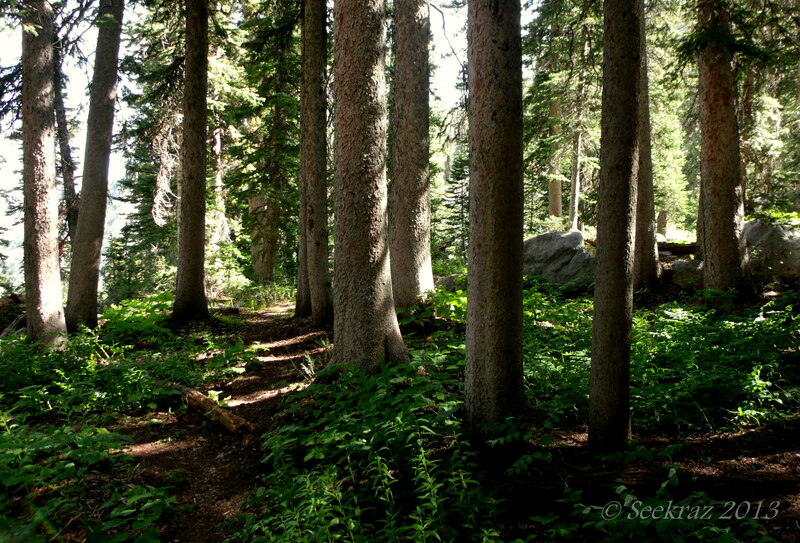 The hike from the trail-head to the upper lake is approximately four miles in length, has an elevation gain of about 2,500 feet, and may take you from 2.5 to 3.5 hours to accomplish…depending on your fitness level……….and how often you stop to make photographs…. 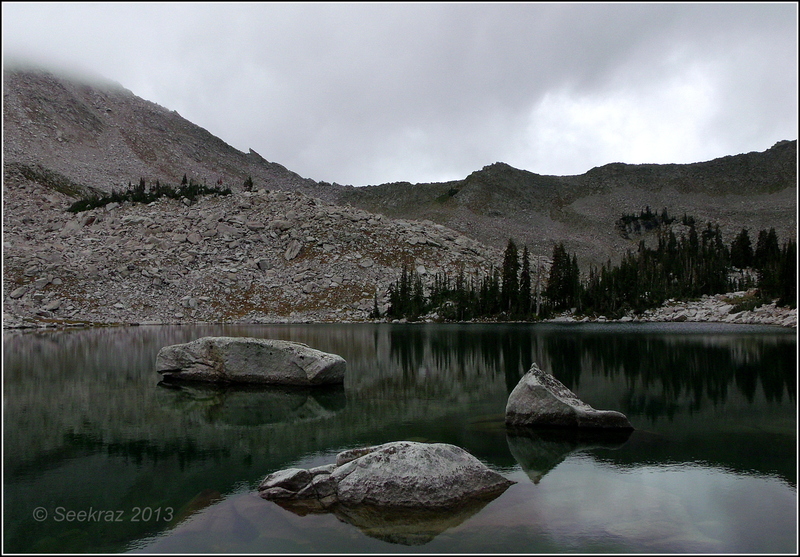 You might remember the lake from last year when I did the posts on the Sister Lakes of the Wasatch Mountains. 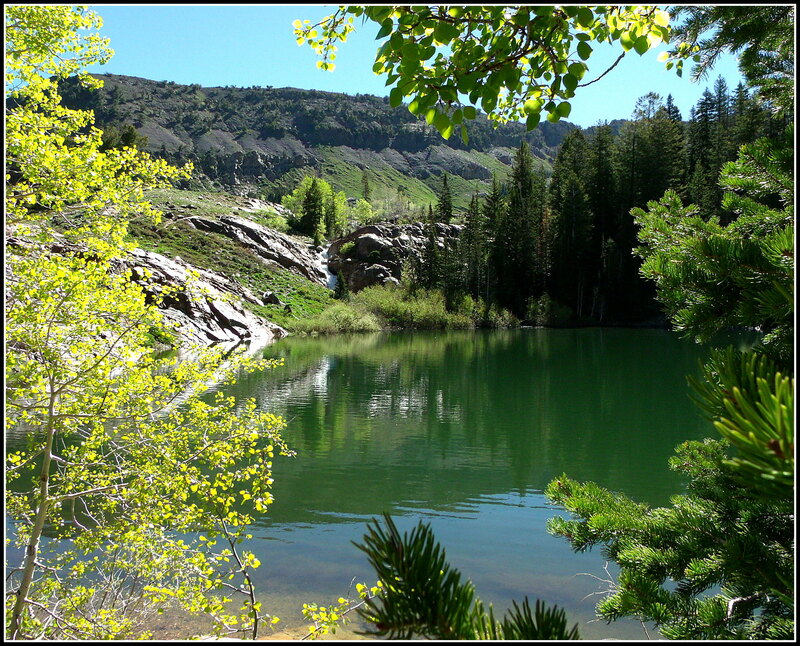 You can click on “Sister Lakes – Lake Florence” to learn more about this lake. 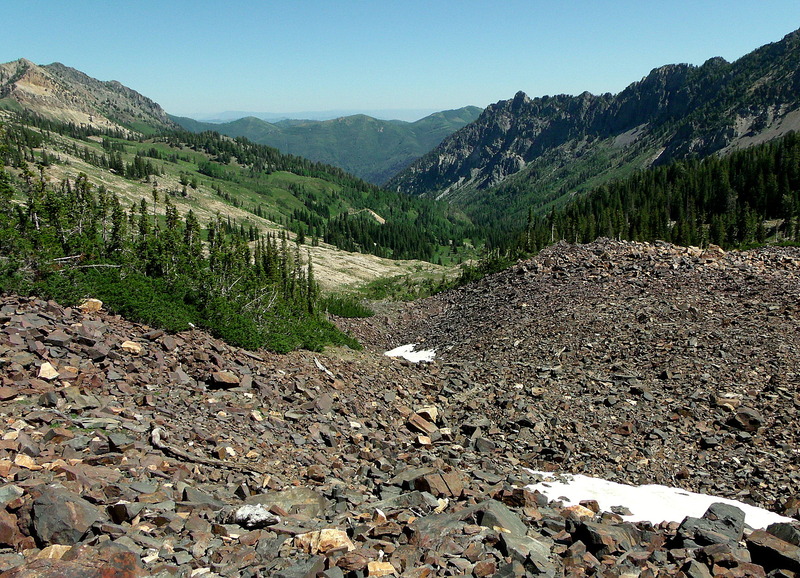 The earlier post also has links to the other Sister Lakes if you’re interested in the more complete history of the area. 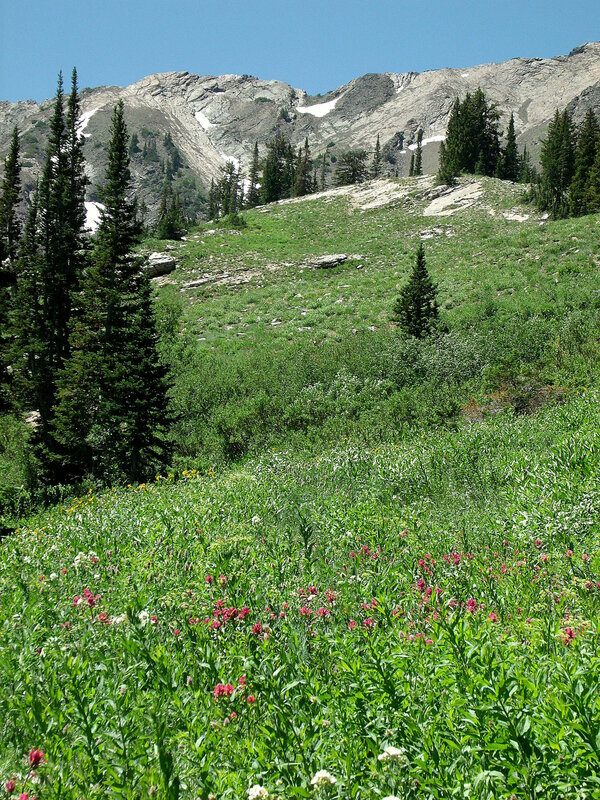 You saw the mountainside flower garden just below the other side of the ridge here…and the image below is what you can see when you look down the ridge in the opposite direction. 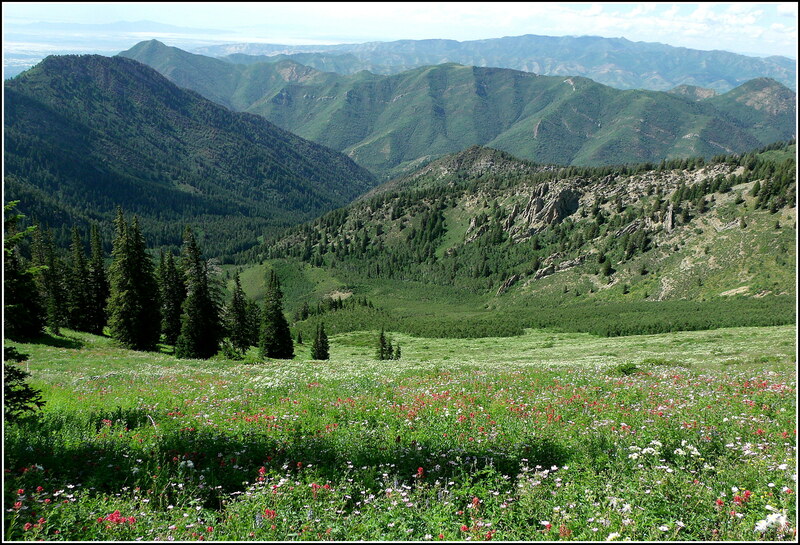 From approximately 9,600 feet in elevation, you can see out through Millcreek Canyon, clear across the Salt Lake Valley, and visualize the open pit mine on the eastern face of the Oquirrh Mountains…the western geographical boundary of the Valley…. 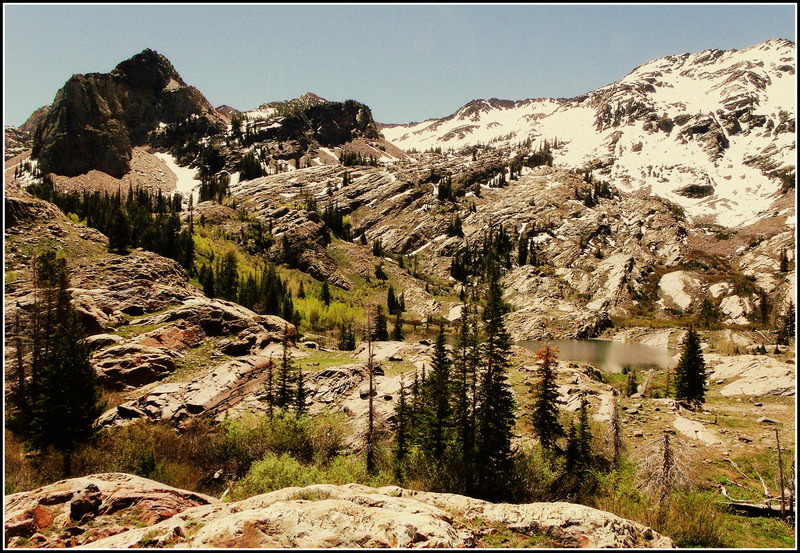 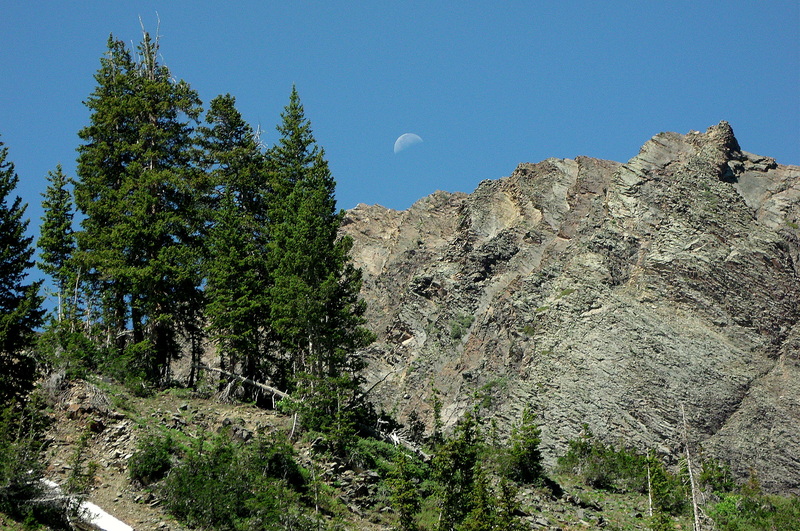 This is an early-June, 2013 photograph of one of the iconic mountains that provide a backdrop to the Sister Lakes in the Wasatch Mountains of Utah. 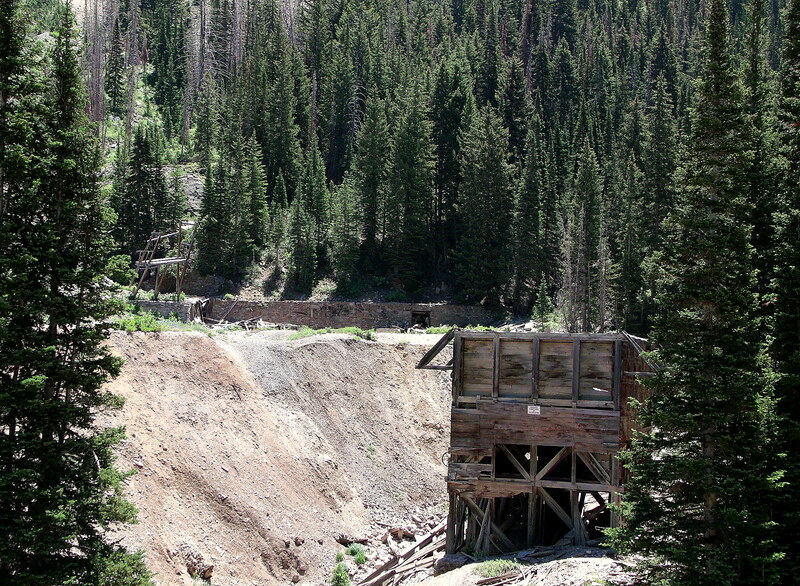 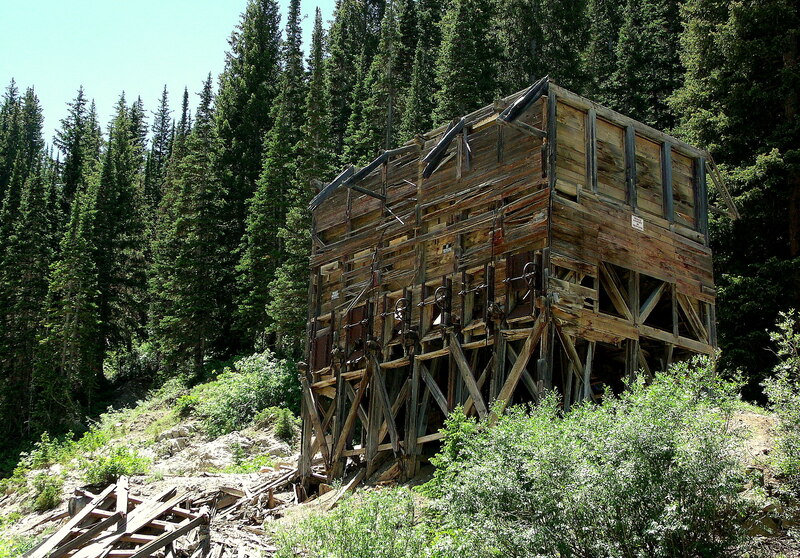 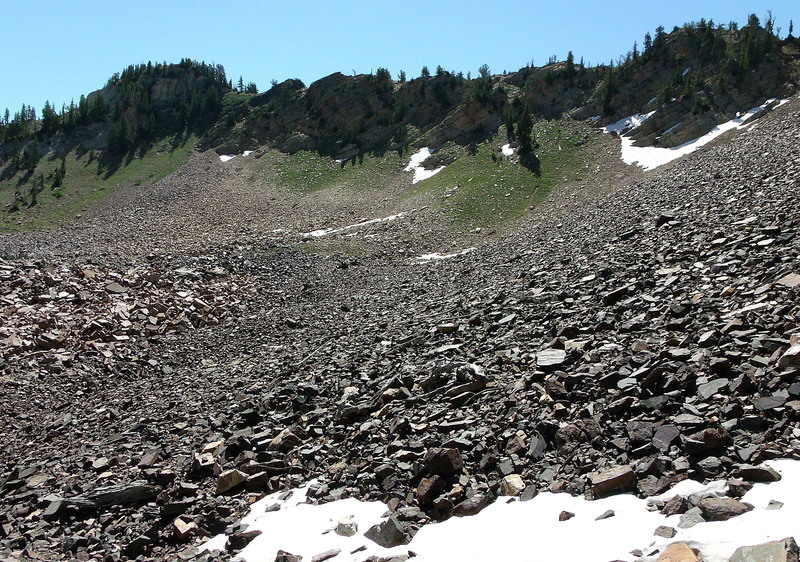 Found at the terminus of the drainage or tributary canyon, Mill B South, it is a frequent site and common reference when trying to orient one’s self while hiking in this area of Big Cottonwood Canyon. 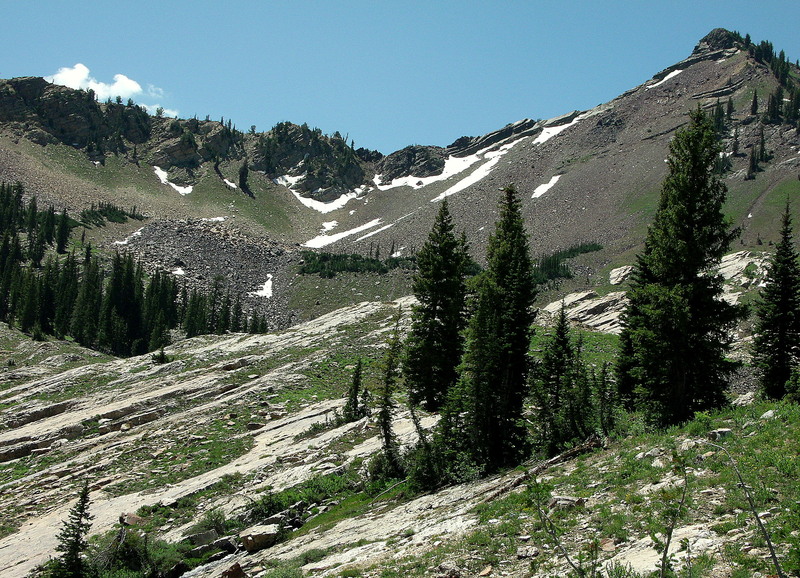 If you’d like to see other images of Dromedary Peak, you can scroll to the bottom of the page and type its name in the search widget to be provided with a list of other posts that contain photos from other seasons.